Spliffs READY????? – Radio for the People, by the People. Yo Yo Yo!!!! 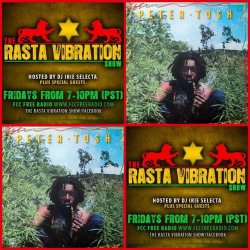 Get your spliffs ready… The Rasta Vibration Show tonight at 6pm(pst) on www.fccfreeradio.com!!!!! Jah Bless! !